The Karner blue butterfly has a wingspan of only about one inch. The male has silvery or dark blue markings on its wings while the female is grayish brown bands of orange crescents. As caterpillars, they feed only on the leaves of wild lupine plants. The habitat of the Karner blue butterfly is tied to that of wild lupine, a plant with a tall spike covered in small flowers, which the butterfly relies on as a caterpillar. The plant grows near pine and scrub oak scattered among open grassy areas. 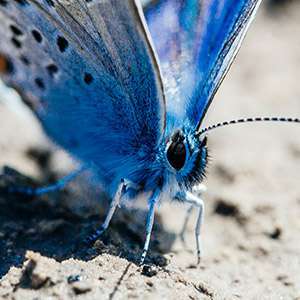 Although Karner blue butterfly habitat used to stretch across 10 states, from New York through Illinois and north to Minnesota, it has been eliminated from at least five of those states. Remaining populations are primarily in the states directly surrounding Lake Michigan. Destruction, modification and fragmentation of habitat have been the greatest threats to the survival of the Karner blue butterfly. Because of their reliance on the wild lupine, the decreasing presence of the plant due to urbanization, decreasing wildfires and other factors have made it challenging for the butterfly to find suitable habitat. 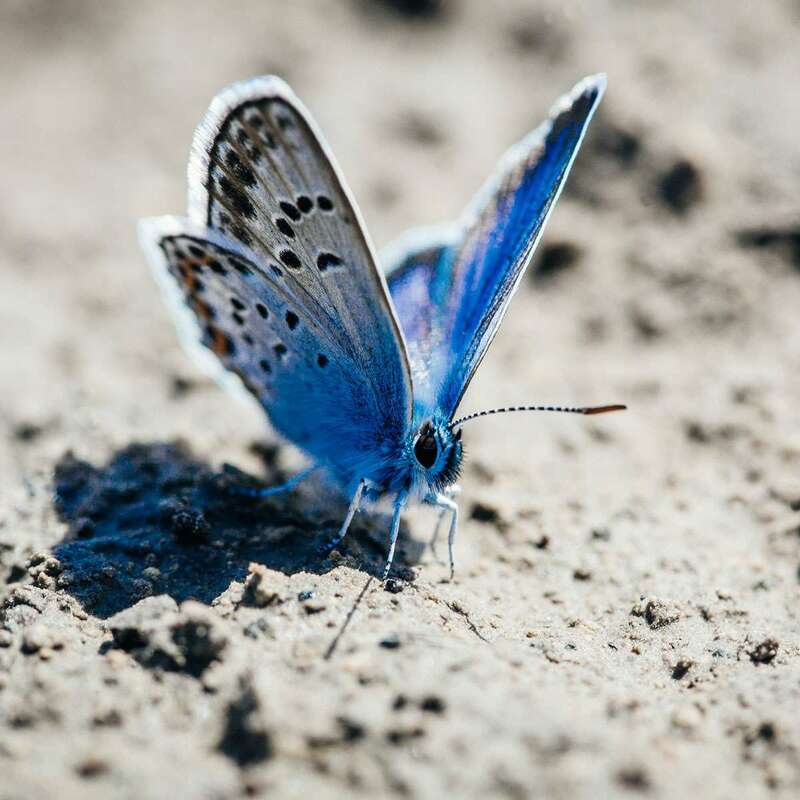 To recover the Karner blue butterfly, the Fish and Wildlife Service is working with state agencies and other partners to protect populations in their current habitats, as well as reintroduce the butterfly to habitat where it had historically been found. Monitoring of and research on populations and habitats are ongoing, as is education and coordination with public and private land managers. Take action to protect Indiana Dunes National Lakeshore.